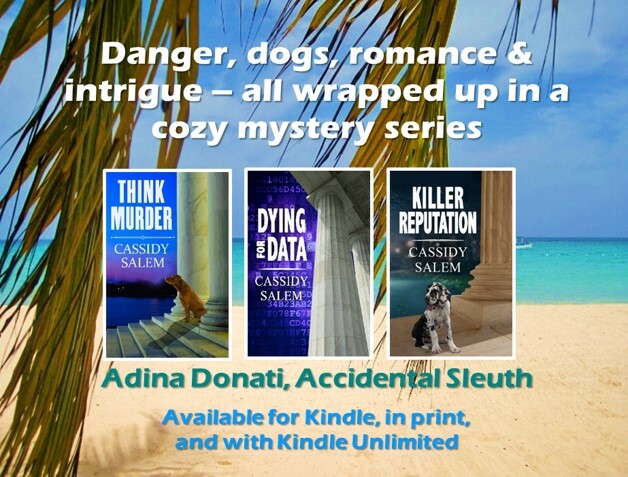 As part of a Blog Tour organized by Great Escapes Virtual Book Tours, I am happy to tell you about A Story to Kill, the first installment in a new cozy mystery series by Lynn Cahoon. The main character in this story is a likeable and serious author who has decided to supplement her income by turning her home into a writer’s retreat – a proposition that turns out to be more challenging than she expected. The participants in the first retreat range in age and background, with distinct personalities and quirks. And, of course, one of the writers turns up dead. Motivated by curiosity and a concern for the impact of the murder on her future earnings, she joins forces with her uncle, the local police chief, to solve the case. Although the writer’s murder is solved, there is a subplot that remains unresolved – I assume this cliffhanger will be resolved later in the series. All in all, it was an enjoyable and fast paced read, with many a twist and turn that should appeal to mystery lovers. Enter a Rafflecopter giveaway for a chance to win a print copy of A Story to Kill from the author. I’ve read others by this author and enjoyed them. Thanks for sharing this one. Glad you’re enjoying the Tourist Trap series. I hope you like Cat and the gang.